"If you ever want experience the Camino, CaminoWays is the partner you want. They organized our group of 12 perfectly. The accommodations exceeded our expectations, the food was top notch and the transportation arrangements were spot on! All of that combined to make our pilgrimage a stress free, enjoyable experience for everyone in our group which ranged in age from 17-75." 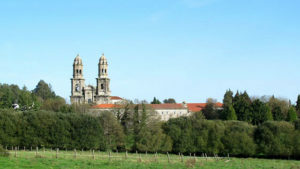 "This is my second Camino walk using Caminoway. This year it was part of the Norte route and, as before Caminoways provide everything you could want, from the detailed map to luggage labels, but most of all, the really wonderful hotels they booked for us on the way and for our final stop in Finisterre. 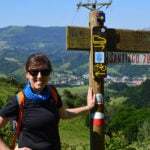 Thank you"
"Amazing experience - Camino from San Sebastian to Bilbao. Booking through CaminoWays.com was easy. The walk wasn't guided but the maps and information received was enough for us to navigate our own way with no problems. The bags were picked up and delivered with no problems. Most of the hotel accommodation was great. The walk was challenging in parts but was also a fulfilling experience. The scenery was amazing and varied, and the food was SO good. I would definitely recommend this holiday to others." This cycling trip covers the second half of the Camino del Norte, the Northern Way of the Camino de Santiago. 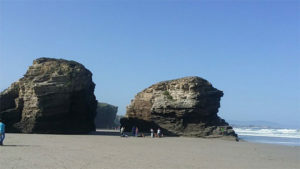 You will be starting your Camino in the coastal city of Gijón, in Asturias, and follow the northern coast into Galicia. On your way, you will be staying in stunning seaside villages and towns, passing sandy beaches and coves; and cycling across lush countryside. As you cross the bridge over the River Eo you will arrive in Ribadeo, the first town in Galicia and home to one of Spain’s most famous beaches: the Cathedrals Beach. From Ribadeo, the Camino del Norte then heads inland, into rural Galicia. You will cycle to the sleepy town of Mondoñedo, an old capital of the Kingdom of Galicia, where you can admire its grand buildings and cathedral. You will continue along forests, peaceful hamlets and country roads. Don’t forget to claim your Compostela certificate when you arrive in Santiago de Compostela! *We recommend cycling the Camino only if you have some cycling experience and if you have essential bike maintenance knowledge. Cycling the Camino de Santiago – How it Works. Today you have quite a long day ahead but after you leave the outskirts of Avilés, you will reach interesting small towns. 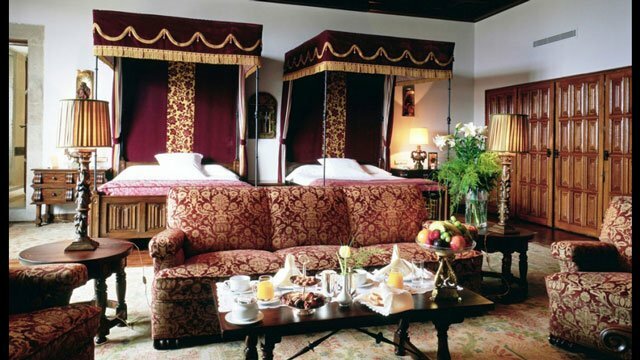 Your stop for the night is El Pito, home to interesting Renaissance gardens and grand palaces. 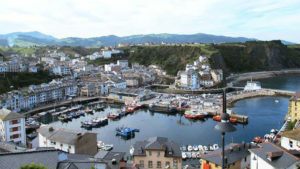 Just down the hill, you can visit the picturesque fishing village of Cudillero. You will follow your path near the coast after Ballota. After Cadavedo, the trails heads inland but as you approach Luarca you will be able to spot the sea again. Your stop for the night is the pretty, traditional fishing town of Luarca. Enjoy some of the fresh seafood and a glass of cider! Today will be your last day following the Cantabrian coast. It is also quite a long walking day so you talk to our team if you’d like to book a rest day in the lively town of Ribadeo. You will cross the bridge of the Saints over the River Eo to enter Galicia and reach Ribadeo. 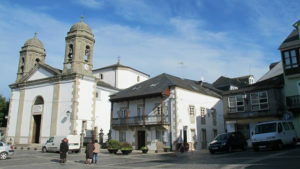 The town is famous for the Cathedrals Beach (a short taxi ride away), Galicia’s second most visited site after Santiago’s ‘proper’ cathedral. Today, you will be climbing from Lourenzá towards Mondoñedo, which used to be one of the seven capitals of the Kingdom of Galicia. You will get amazing views of the surrounding countryside. Make sure you explore Mondoñedo before you continue towards Abadín. If you wish you can split the distance between Lourenza and Abadin by staying in Mondonedo. Today, the Camino del Norte meanders among the forests, farmland and green pastures of the ‘Terra Chá’ (Flat lands) leading you to the area’s capital, the market town of Vilalba. Vilalba is capital of the Terra Chá. Try the local delicacies, cheeses and other farm products before you head home! From Miraz, you will continue on your Camino del Norte journey across rural Galicia. You will reach the highest point of the trail at Marcela, so take a few minutes to enjoy the views. 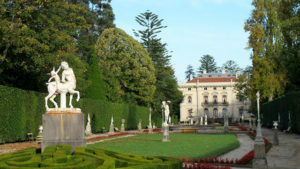 Your destination is Sobrado dos Monxes, home to an impressive monastery. The monastery dates back to the 10th century originally, although the current facade is baroque. You will be picked up at the monastery and stay the night in Miraz. Today’s Camino walk will take you through pretty woods, sleepy villages and across streams most of the day. Make sure you visit the chapel of Santa Irene, with its unique statue of Santiago. 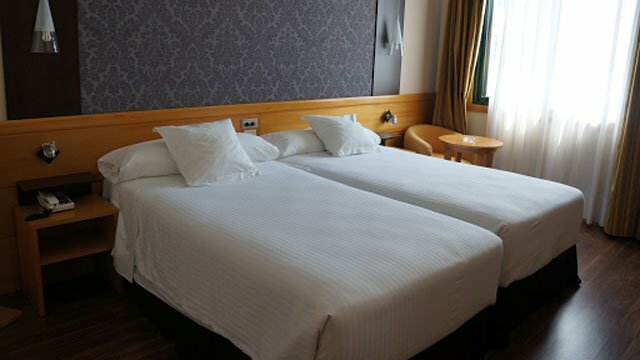 You will stay the night in the town of Pedrouzo (310m). 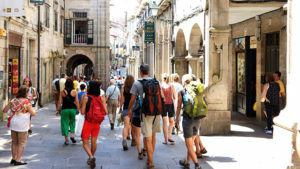 Today is the last walking day of your Camino trip. 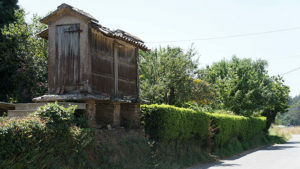 Starting in the town of Pedrouzo. Your next point of interest is Lavacolla in the outskirts of Santiago, where pilgrims used to wash themselves in the river in preparation for their arrival in Santiago de Compostela. Rows of tall eucalyptus trees line your journey to Monte do Gozo (‘Mount of Joy’ 368m) and it is from here that will catch your first glimpse of the Cathedral of Santiago. When you arrive in the city (264m, population 80,000), explore this UNESCO World Heritage Site architecture and delight in the wonderful atmosphere of this spiritual and cultural mecca. The cathedral has a pilgrim mass everyday at noon.Your tour of the Camino del Norte ends after breakfast. Explore the old town in Santiago de Compostela before you head home. Please ask the team if you’d like to stay additional nights, take a day tour of the historic centre or a day trips to Finisterre or the Cíes Islands. Superior Collection includes complimentary spa in Santiago. Asturias Airport 42km: There are buses from Asturias airport to Gijón bus station every hour (taking 45min approx). See www.movelia.es. Santander Airport 174km: There are three buses a day from Santander airport (www.alsa.es) to Gijón taking between 3h and 3h30. 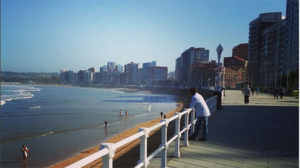 Alternatively, there are regular bus connections between Gijon and Santander (bus station) each day (taking from 2h to 4h). In Santander, there is a bus (every 30min), linking the bus station with the airport. See: www.movelia.es.